Al-Qaeda’s (AQ) branch in Somalia, the Shabaab al-Mujahideen Movement, claimed multiple attacks in the capital, Mogadishu, in a six-day period, as well as seizing control over a town on the Somalia-Kenya border without engaging in battle. 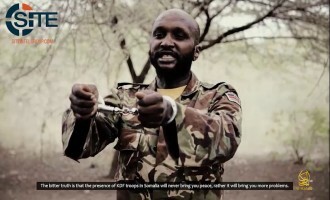 The Shabaab al-Mujahideen Movement, al-Qaeda’s (AQ) branch in Somalia, released a video featuring confessions from three Kenyan spies within the group, one of whom relayed from his English-accented handler that bounties are simply for “propaganda purposes”. The Shabaab al-Mujahideen Movement, al-Qaeda’s (AQ) branch in Somalia, released a video of fighters performing a Swahili chant remembering Usama bin Laden. 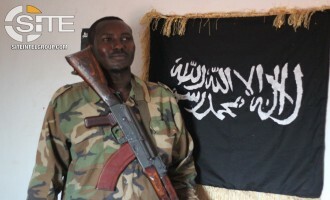 The Shabaab al-Mujahideen Movement, al-Qaeda’s (AQ) branch in Somalia, reported the surrender to its “administration” of a soldier who worked with Ethiopian forces since 2011, and claimed multiple attacks on Kenyan soldiers and troops within the AMISOM mission. 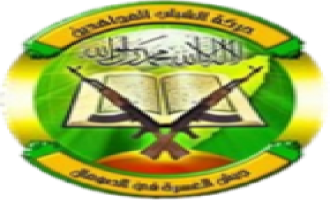 The group’s Shahada News Agency posted reports on the attacks and surrender on its social media accounts on September 12-15, 2017. 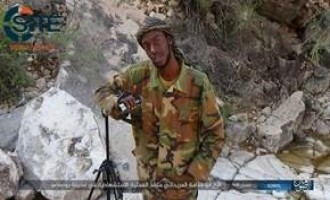 It stated on September 14 that Abdullah Jarir, an officer in the Somali National Army (SNA), surrendered in the city of Galhareeri in Galduduud, and provided his photo. In other messages, it reported Shabaab fighters storming Djiboutian and Burundian bases in Hiran and Middle Shabelle respectively, and ambushing Ugandan forces in Lower Juba, and also bombing a Kenyan military vehicle near the Somalia-Kenya border. After claiming to have killed nearly 30 Somali soldiers in Beled Hawa, a town on the border with Kenya, the Shabaab al-Mujahideen Movement took credit for an attack on police officers on the Somalia-Ethiopia border, in addition to detonating a car bomb in the capital, Mogadishu. 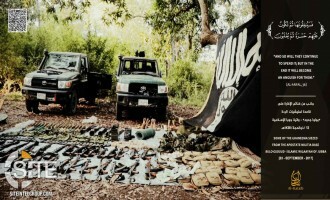 The Shabaab al-Mujahideen Movement, al-Qaeda’s (AQ) branch in Somalia, released photos of war spoils it captured from its September 3, 2017, raid on a Somali National Army (SNA) base in Bulo Gudud. 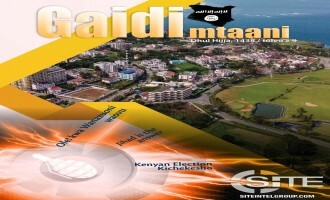 The publishers of “Gaidi Mtaani” (Terrorism Street), a pro-Shabaab magazine, released the ninth issue, criticizing the Kenyan elections and promoting jihad over democracy. Al-Qaeda’s (AQ) branch in Somalia, the Shabaab al-Mujahideen Movement, claimed credit for an assassination attempt on a Somali senator in Mogadishu, and killing three Kenyan Christians in Dhobley. 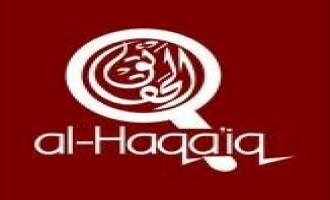 The group’s Shahada News Agency published Arabic reports on the incidents on its social media accounts on September 5, 2017, as well as a report on another attack, one day prior. 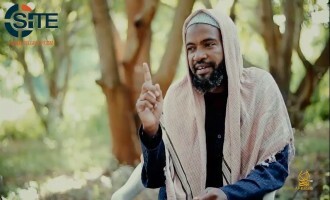 In one message, Shahada stated that Shabaab fighters killed three Kenyan Christians in Dhobley, and in another, killed two Somali National Army (SNA) soldiers and wounding six others in an attack on a convoy of Somali Senator Hussein Ali Haji in Mogadishu’s Hodan district. It also reported on strikes on Kenyan forces in Hozingow, and SNA soldiers in ‘Aylasha. The Shabaab al-Mujahideen Movement, al-Qaeda’s (AQ) affiliate in Somalia, released a video showing footage of clashes with Somali, Kenyan, and Ugandan forces throughout Somalia and Kenya. 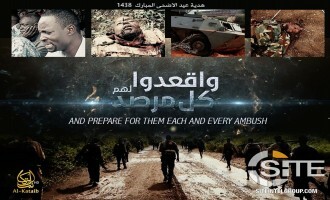 The Shabaab al-Mujahideen Movement, al-Qaeda’s (AQ) branch in Somalia, claimed killing 35 Puntland soldiers in a series of explosion in Af Urur, and through a media unit, published photos of Eid al-Adha celebrations in multiple areas under its control. In an Eid al-Adha speech, Shabaab al-Mujahideen Movement leader Abu Ubaidah Ahmed Umar touted the group’s persistence amid “Crusader” military campaigns, and encouraged steadfastness by the group’s members. The Shabaab al-Mujahideen Movement, al-Qaeda’s (AQ) branch in Somalia, claimed multiple attacks against AMISOM and Somali forces in the capital, Mogadishu, and a strike in Kenya’s Mandera County on Kenyan soldiers. The Shabaab al-Mujahideen Movement, al-Qaeda’s (AQ) branch in Somalia, claimed an attack on a U.S.-AMISOM base in Lower Shabelle region, and three bombings in Bay region and the Somali capital, Mogadishu. The Shabaab al-Mujahideen Movement, al-Qaeda’s (AQ) branch in Somalia, confirmed the death of its “governor” for Banaadir, Ali Muhammad Hussein (AKA Ali Jabal), in a U.S. airstrike. 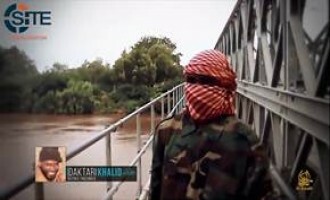 The Somalia-based al-Qaeda branch, the Shabaab al-Mujahideen Movement, claimed killing five Christians in an attack in a village in Kenya’s Lamu County, in addition to other operations, three of which were carried out in the vicinity of Mahaday in Middle Shabelle within the span of three days. 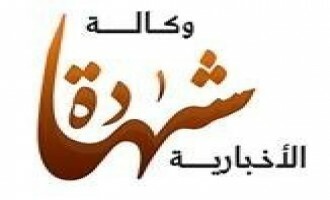 Responding to a statement from a pro- al-Qaeda (AQ) media group accusing Mukhtar Robow Abu Mansour, a former Shabaab al-Mujahideen Movement commander, of colluding with the enemy prior to surrendering, a Shabaab deserter challenged its account of events and equated the AQ group to the Islamic State (IS) in terms of extremism. Al-Hijrah Media, a pro- al-Qaeda (AQ) English-language group, presented what it described as “exclusive details” on former Shabaab al-Mujahideen Movement commander Mukhtar Robow Abu Mansour surrendering to the Somali government. Abdurrahman bin Abdillah, an individual who deserted the Shabaab al-Mujahideen Movement due to what he described as its criminality and oppression, commented on Shabaab commander Mukhtar Robow Abu Mansur surrendering to the Somali government. The Shabaab al-Mujahideen Movement, al-Qaeda’s (AQ) branch in Somalia, claimed killing an Ethiopian intelligence officer near the country’s border with Ethiopia, and repelling an attack involving U.S. forces in Kismayo. The Shabaab al-Mujahideen Movement, al-Qaeda’s (AQ) branch in Somalia, claimed an explosion inside the central prison in Mogadishu, and attacks on AMISOM bases in Hiran and Middle Shabelle regions. The Shabaab al-Mujahideen Movement, al-Qaeda’s (AQ) branch in Somalia, claimed an attack on Ethiopian Liyuu (Special) Police near the town of Farlibah, in Hiran, in addition to attacks in Lamu County, Kenya and Somalia’s Lower Juba, Puntland, and Lower Shabelle regions. Abdurrahman bin Abdillah, an individual who deserted the Shabaab al-Mujahideen Movement due to what he described as its criminality and oppression, remarked on the group’s attack on former deputy leader Mukhtar Robow Abu Mansur and his loyalists. The Shabaab al-Mujahideen Movement, al-Qaeda’s (AQ) branch in Somalia, claimed seizing four vehicles belonging to the Kenyan electoral commission in what it described as a “special operation” at the Kenya-Somalia border. 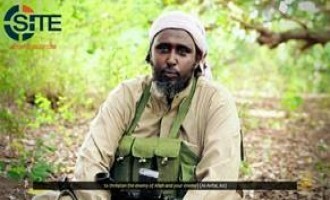 The Shabaab al-Mujahideen Movement, al-Qaeda’s (AQ) branch in Somalia, released a posthumous video of Canadian fighter Mahad Ali Dhore (AKA Farhan) threatening Kenya and calling his counterparts in the country to kill both soldiers and civilians. 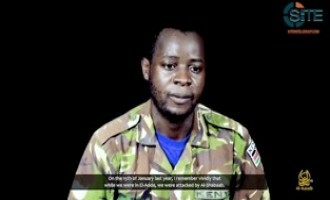 The Shabaab al-Mujahideen Movement, al-Qaeda’s (AQ) branch in Somalia, released a video showing the final message of Kenyan POW Leonard Maingi Kiiyo, and his execution, where his speech and that of the fighter who killed him are meant to influence the upcoming Kenyan general election. Four days ahead of the Kenyan general election, the Shabaab al-Mujahideen Movement released a video addressing Kenyan Muslims, calling on them to forgo voting, avoid polling stations entirely, and migrate to Somalia to join the group. 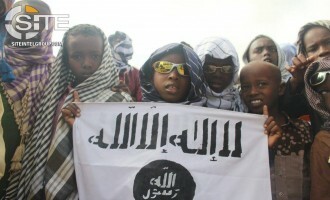 The Shabaab al-Mujahideen Movement, al-Qaeda’s (AQ) branch in Somalia, announced that it retook control over the “strategic city” of Lego in southern Somalia following the withdrawal from it by Ugandan forces. 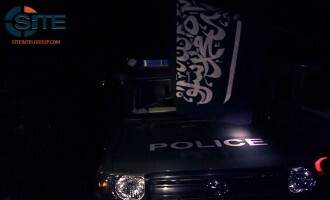 The Somalia-based al-Qaeda (AQ) branch, the Shabaab al-Mujahideen Movement, claimed killing and wounding a “number” of Kenyan police in a raid on their station in the town of Lafi, in Kenya’s Mandera County, and then seizing temporary control over the area. The Shabaab al-Mujahideen Movement, al-Qaeda’s (AQ) branch in Somalia, claimed credit for two attacks in Mogadishu on July 31, 2017, one an assassination attempt on a government official, and the other a bombing on a Somali National Army (SNA) convoy. 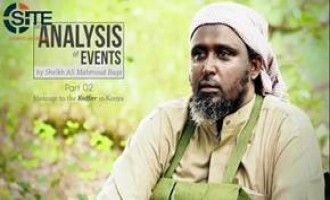 The Somalia-based al-Qaeda branch, the Shabaab al-Mujahideen Movement, released a two-part video with its Kenyan religious official Ahmad Iman Ali regarding the general elections and the democratic practice in general. 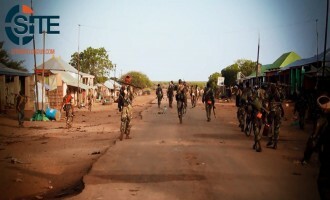 The Shabaab al-Mujahideen Movement, al-Qaeda’s (AQ) branch in Somalia, raised the death toll among Ugandan forces from 39 to 51 in the ambushes it mounted in Bulu Marir in Lower Shabelle region. The Shabaab al-Mujahideen Movement, al-Qaeda’s (AQ) branch in Somalia, claimed killing over 39 Ugandan soldiers in a series of ambushes in the town of Bulu Marir in Lower Shabelle. Ahmad Iman Ali, a Kenyan religious official in the Somalia-based al-Qaeda branch, the Shabaab al-Mujahideen Movement, threatened Muslims in the ranks of enemy security forces and proponents of democracy in a video lecture. 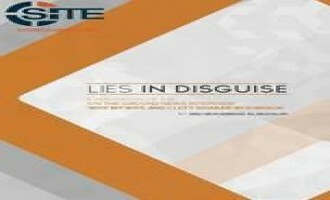 In English bulletins, a pro- al-Qaeda (AQ) group promoted the Shabaab al-Mujahideen Movement and incited against the West. The Shabaab al-Mujahideen Movement, al-Qaeda’s (AQ) branch in Somalia, claimed bombing a military convoy in which American forces were present, and reported that Kenyan authorities announced enhanced security in anticipation of its attacks during the general election on August 8, 2017. The Shabaab al-Mujahideen Movement, al-Qaeda’s (AQ) branch in Somalia, claimed killing two Somali security elements hours apart from each other in Mogadishu, and five attacks on AMISOM forces in Gedo and Hiran regions. 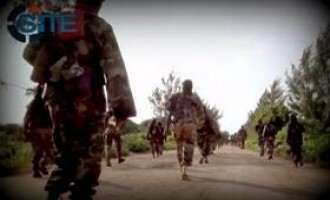 The Somalia-based al-Qaeda branch, the Shabaab al-Mujahideen Movement, claimed an attack on a base of Ethiopian Liyuu (Special) Police in the town of Farlibah, located in Hiran on the border between Somalia and Ethiopia, and shelling a joint base in Lower Juba housing American, Ethiopian, and Kenyan forces. 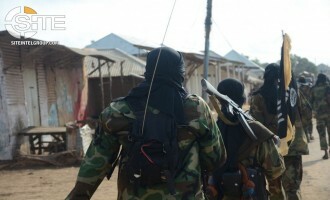 A media unit for the Shabaab al-Mujahideen Movement, al-Qaeda’s branch in Somalia, reported on a Somali National Army (SNA) officer and three soldiers surrendering to the group in the city of Jilib in Middle Juba, and the Shabaab offering protection to other deserters for the “price” of their weapon. 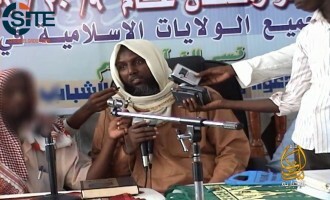 Abdurrahman bin Abdillah, an individual who deserted the Shabaab al-Mujahideen Movement due to what he described as its criminality and oppression, discussed the group’s recent video release on the jihadi biography of its former leader, Mukhtar Abu al-Zubayr, disputing what it presented, and remarked that his pledge to al-Qaeda (AQ) was borne out of “convenience”. 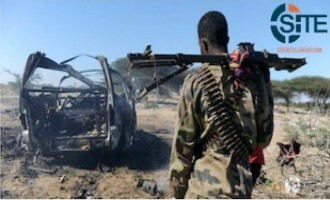 The Somalia-based al-Qaeda branch, the Shabaab al-Mujahideen Movement, claimed attacking a base of Djiboutian forces within the AMISOM mission in Hiran region, and bombing a Somali National Army (SNA) vehicle in Lower Juba. 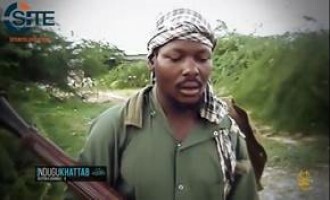 The Shabaab al-Mujahideen Movement, al-Qaeda’s (AQ) branch in Somalia, released a posthumous video of a second Tanzanian fighter, who promoted immigration and jihad to Muslims in East and Southeast Africa. 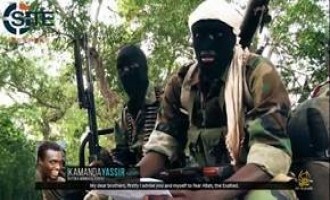 The Shabaab al-Mujahideen Movement, al-Qaeda’s (AQ) branch in Somalia, claimed an attack on a joint base of American, Ethiopian, and Kenyan forces near Kismayo, and reported the killing of five civilians in a U.S. drone strike in the region. Al-Qaeda’s (AQ) branch in Somalia, the Shabaab al-Mujahideen Movement, claimed attacks on American, AMISOM, and Somali National Army (SNA) forces in the country, as well as bombing a Kenyan military vehicle in Kenya’s Garissa County. 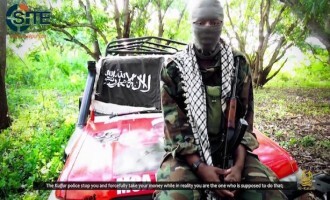 The Shabaab al-Mujahideen Movement released a video featuring a Tanzanian fighter calling for Muslims in countries neighboring Somalia to migrate to its jihadi battlefronts. The Shabaab al-Mujahideen Movement claimed a second mortar strike on a military base in Kenya’s Mandera County in two days. 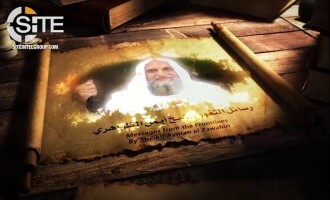 The Shabaab al-Mujahideen Movement, al-Qaeda's (AQ) branch in Somalia, released a posthumous video of a Ugandan fighter promoting jihad as a means to stop "disbelievers" from invading and besieging Muslim lands. The Shabaab al-Mujahideen Movement claimed that its fighters in Somalia thwarted a U.S. Special Forces operation in Lower Shabelle, and that those in Kenya bombed a military vehicle in Mandera. The Shabaab al-Mujahideen Movement, al-Qaeda’s (AQ) branch in Somalia, claimed an attack with an explosive-laden vehicle on AMISOM, Somali National Army (SNA), and “mercenary” forces in a suburb of Mogadishu. 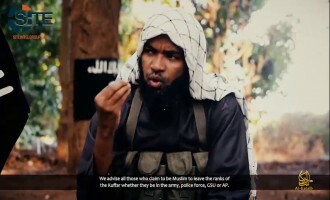 In the second episode of its latest video series inciting for jihad, the Shabaab al-Mujahideen Movement released a posthumous video of a Kenyan fighters calling on Muslims in East Africa to fight collectively against regional states as well as America, Britain, and France. The Shabaab al-Mujahideen Movement, al-Qaeda’s (AQ) branch in Somalia, claimed a mortar attack on Kenyan military base in Mandera County in Kenya, and also attacks on Somali forces inside Mogadishu and near Bosaso. The Shabaab al-Mujahideen Movement claimed assassinating an official in the Somali Ministry of Finance in the capital, Mogadishu, and storming the Ministry of Defense days prior. 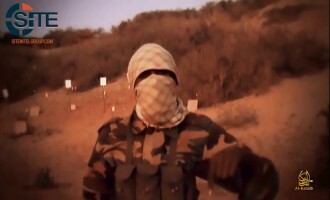 The Shabaab al-Mujahideen Movement, al-Qaeda’s (AQ) branch in Somalia, launched a new video series, and in the first episode, featured a suicide bomber involved in the July 2010 attack in Kampala, Uganda, inciting Muslims to seek “martyrdom” in the battlefield. The Shabaab al-Mujahideen Movement claimed killing dozens of Kenyan police and soldiers in a raid in Pandanguo in Kenya’s Lamu County. The Shabaab al-Mujahideen Movement, al-Qaeda’s (AQ) branch in Somalia, reported wounding the former Director of the Somalia’s Ministry of Information with an explosive device in the country’s capital, Mogadishu. The Shabaab al-Mujahideen Movement, al-Qaeda’s (AQ) branch in Somalia, claimed credit for a mortar attack on the Presidential Palace in the capital, Mogadishu. The Shabaab al-Mujahideen Movement, al-Qaeda’s (AQ) branch in Somalia, boasted that its fighters ambushed AMISOM forces twice in the same area within the span of hours. The Shabaab al-Mujahideen Movement, al-Qaeda’s (AQ) branch in Somalia, claimed killing and wounding dozens of AMISOM and Somali National Army (SNA) forces while thwarting their offensive on the city of Janale in the south of the country. 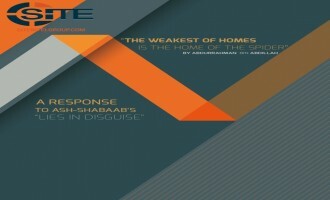 The Shabaab al-Mujahideen Movement, al-Qaeda’s branch in Somalia, claimed two attacks in Somalia’s capital Mogadishu targeting African and Somali forces, respectively, in addition to operations in Lower Shabelle and Puntland. The Shabaab al-Mujahideen Movement, al-Qaeda’s (AQ) branch in Somalia, claimed bombing a vehicle belonging to the Somali special forces “Alpha Group” in Mogadishu, and killing 10 Kenyan soldiers in an ambush near the city of Bardhere, among other attacks. The Shabaab al-Mujahideen Movement, al-Qaeda’s (AQ) branch in Somalia, claimed killing 14 Kenyan soldiers in an ambush in Kenya’s Lamu County. The Shabaab al-Mujahideen Movement claimed foiling an attack in which American, AMISOM, and Somali National Army (SNA) allegedly participated near Mahaday in Middle Shabelle region. 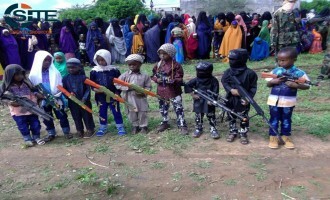 The Shabaab al-Mujahideen Movement, al-Qaeda’s (AQ) branch in Somalia, published photos of Eid al-Fitr celebrations it held in areas it controls in Galguduud and Middle Juba regions, showing gun-toting children among the people, and claimed attacks on Somali National Army forces. In its first documented attack in Somalia since the May 23, 2017, suicide bombing in Puntland, the Islamic State (IS) claimed killing two soldiers in clashes in the same territory. 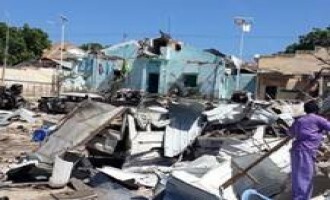 The Shabaab al-Mujahideen Movement, al-Qaeda’s (AQ) branch in Somalia, claimed killing and wounding dozens in a suicide bombing at the Waberi district police station in the capital, Mogadishu. After earlier claiming credit for the suicide bombing outside the Wadajir district headquarters in the Somali capital, Mogadishu, the Shabaab al-Mujahideen Movement reported that 30 people were killed and wounded, including government officials and security forces. The Shabaab al-Mujahideen Movement, al-Qaeda’s (AQ) branch in Somalia, claimed credit for the suicide bombing outside the Wadajir district headquarters in the capital, Mogadishu. The Shabaab al-Mujahideen Movement, al-Qaeda’s branch in Somalia, claimed killing 10 Kenyan troops in two separate attacks, one of them in Kenya, and striking AMISOM and Somali National Army (SNA) forces in seven incidents in a five-day period. Al-Kata’ib Foundation, the media wing of the al-Qaeda-affiliated Shabaab al-Mujahideen Movement, published a set of 32 photos from the June 8, 2017, raid on the Af Urur military base in the Puntland State of Somalia. The Shabaab al-Mujahideen Movement, al-Qaeda’s (AQ) branch in Somalia, reported ongoing clashes following a suicide bombing and raid at a “nightclub” in Somalia’s capital Mogadishu. 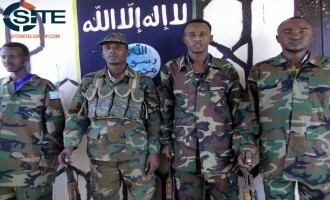 The Shabaab al-Mujahideen Movement reported that it inflicted “heavy losses” among Djiboutian and Ethiopian forces operating within the AMISOM mission, and Somali National Army (SNA) troops, in attacks in four cities in Somalia’s Hiran region. The Shabaab al-Mujahideen Movement, al-Qaeda’s (AQ) branch in Somalia, claimed six attacks on AMISOM and Somali forces within a 3-day period, and also announced its reconciling a tribal dispute between two parties. 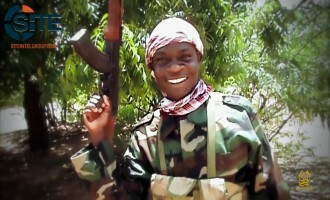 In the second part of his graduation address to foreign fighters from East Africa, the spokesman for the Shabaab al-Mujahideen Movement directed a message to “disbelievers” in Kenya, declaring that fighters will not relent in their war unless the Kenyan government withdraws its troops from Somalia, and the Kenyan people embrace Islam. The Shabaab al-Mujahideen Movement, al-Qaeda’s (AQ) branch in Somalia, published photos of the destroyed armored vehicles and other remnants from their repulsion of a joint attack by U.S., AMISOM, and Somali National Army (SNA) forces in the country’s Lower Shabelle region. The Shabaab al-Mujahideen Movement, al-Qaeda’s (AQ) branch in Somalia, claimed repelling an attack by U.S., Somali, and African forces in Bariri, Lower Shabelle region, and destroying three of their vehicles with explosives. 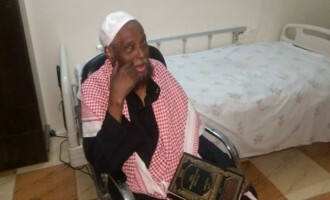 Abdurrahman bin Abdillah, an individual who deserted the Shabaab al-Mujahideen Movement due to what he described as its criminality and oppression, responded to the refutation of his accusations by the group, charging that the author is deluded and “regurgitating” lies. 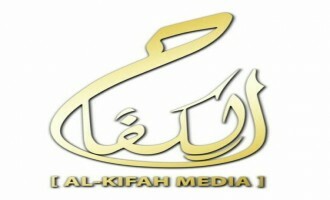 Shahada News Agency, a media unit of al-Qaeda’s (AQ) branch in Somalia, the Shabaab al-Mujahideen Movement, reported that over 130 soldiers were killed and wounded in an offensive by fighters on the Af Urur military base in Puntland State. 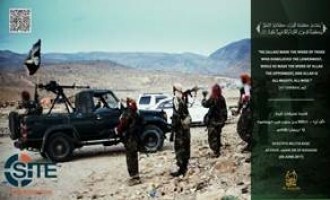 The Shabaab al-Mujahideen Movement, al-Qaeda’s (AQ) branch in Somalia, claimed killing more than 61 soldiers at the Af Urur military base in Puntland State of Somalia. The Shabaab al-Mujahideen Movement, al-Qaeda’s (AQ) branch in Somalia, claimed killing Kenyan, Somali, and Djiboutian forces in nine attacks in northeastern Kenya and various regions in Somalia, including Mogadishu. 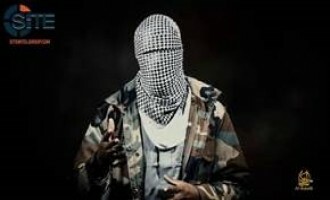 A fighter in the Shabaab al-Mujahideen Movement, al-Qaeda’s (AQ) branch in Somalia, refuted allegations from two former members, a husband and wife, about criminality, injustice, and manipulation exercised by the group. The Shabaab al-Mujahideen Movement, al-Qaeda’s (AQ) branch in Somalia, reported multiple operations around the country, including three assassinations of Somali elements in Mogadishu, and an attack in Kenya’s Lamu county. The Shabaab al-Mujahideen Movement, al-Qaeda’s (AQ) branch in Somalia, released a video on the January 27, 2017, raid on a Kenyan military base in Kulbiyow in which over 67 troops were reportedly killed. After earlier claiming credit for a suicide bombing near the Port of Mogadishu, the Shabaab al-Mujahideen Movement, al-Qaeda’s (AQ) branch in Somalia, reported 55 casualties total among police and intelligence elements in the attack. The Shabaab al-Mujahideen Movement, al-Qaeda’s (AQ) branch in Somalia, claimed a suicide operation on Somali forces in Mogadishu and killing seven Kenyan police forces in the country’s Mandera County. 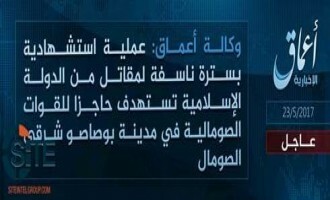 A day after the Islamic State’s (IS) ‘Amaq News Agency reported a suicide bombing by the group in Bosaso, a city in the Puntland region of Somalia, the IS issued a formal communique for the incident, claiming to have killed seven enemy troops and wounded ten. 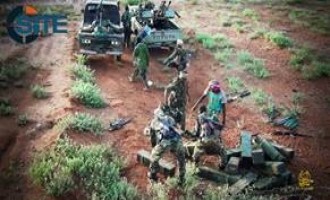 The Shabaab al-Mujahideen Movement claimed killing over 15 Somali soldiers in a broad offensive on multiple areas in Somalia’s Lower Shabelle region, and killing two troops in an ambush in Bakool region. 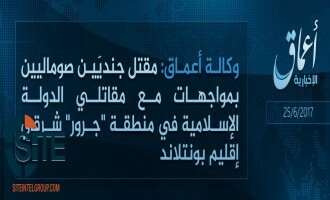 The Islamic State’s (IS) ‘Amaq News Agency reported the group’s first suicide bombing in Somalia, wherein a fighter struck a military checkpoint in Puntland. Ali Mahmoud Rage (AKA Ali Dheere), a spokesman for al-Qaeda’s branch in Somalia, the Shabaab al-Mujahideen Movement, promoted jihad and the conquest of Kenya in a graduation address in front of foreign fighters from East Africa. The Shabaab al-Mujahideen Movement, al-Qaeda’s (AQ) branch in Somalia, provided an update of its claimed car bombing in the capital, Mogadishu. The Shabaab al-Mujahideen Movement, al-Qaeda’s (AQ) branch in Somalia, claimed credit for a car bombing in the capital, Mogadishu, and an attack on an Ethiopian military base in Halgan. The Shabaab al-Mujahideen Movement, al-Qaeda’s (AQ) branch in Somalia, claimed killing and wounding Somali forces in two attacks in Qansahdhere, Bay Region, and west of Somalia’s capital Mogadishu. 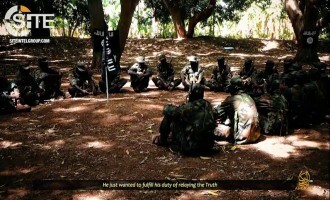 The Shabaab al-Mujahideen Movement, al-Qaeda’s (AQ) branch in Somalia, reported that the U.S. “completed its preparations” for an “anti-terrorism” unit to be established in Sudan, revealing location and role, and claimed attacks on Somali forces in Hiran, Bakool, and Lower Shabelle, Somalia. 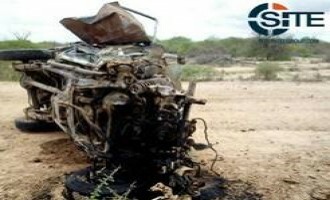 The Shabaab al-Mujahideen Movement, al-Qaeda’s (AQ) branch in Somalia, claimed destroying a vehicle of African forces in Lower Shabelle, and killing and wounding Somali forces in Bakool. The Shabaab al-Mujahideen Movement, al-Qaeda’s (AQ) branch in Somalia, claimed killing nearly 20 elements from Somali forces near the city of Baidoa. The Shabaab al-Mujahideen Movement, al-Qaeda’s (AQ) branch in Somalia, issued a follow-up report for its May 8, 2017 car bomb attack in Mogadishu, claiming to have killed and wounded more than 30. The Shabaab al-Mujahideen Movement, al-Qaeda’s (AQ) branch in Somalia, claimed responsibility for an attack with an explosive-laden car in the Somali capital of Mogadishu. 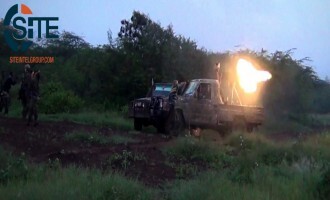 The Shabaab al-Mujahideen Movement claimed attacks on Somali and Kenyan forces in Somalia’s Lower Shabelle region and near the Kenyan-Somali border. The Shabaab al-Mujahideen Movement, al-Qaeda’s (AQ) branch in Somalia, released the alleged identity of the fallen U.S. soldier killed during a “failed landing operation” in Lower Shabelle and supplied a photo.